Need Cracked Foundation Repair In Dallas, Fort Worth, Arlington? Stop Issues And Causes Of Cracks. If cracked foundation repair in Dallas, Fort Worth, Arlington, TX is necessary, contact HD Foundations. Slab cracks cause foundation problems. It’s wise to get a quick cost estimate to stop damage. Gaps will only increase in size. If you require slab foundation crack repair anywhere in the Dallas, Fort Worth or Arlington area, count on us to end foundation crack issues. We service the entire metroplex. Why Cracked Foundation Repair In Dallas, Fort Worth, Arlington? Reasons homeowners must repair cracked foundations in the DFW area:. Soils in the area expand, contract and cause foundation movement. This leads to fissures. You may want to read about the causes of foundation cracks, slabs and repairs. Plumbing leaks and excessive moisture in a slab foundation can create gaps. If this occurs, learn about foundation repair costs for fixing a fractured foundation. Large tree roots can wrap around plumbing pipes and create all kinds of issues. Poorly compacted soil causes splintering in slab foundations. If your Arlington, Fort Worth or Dallas property needs repair due to a cracked foundation, HD Foundations can perform a free foundation evaluation. 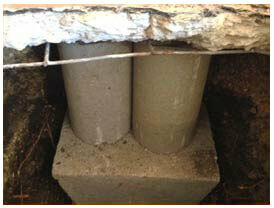 Over 20% of structures in the North Texas area have foundation issues. 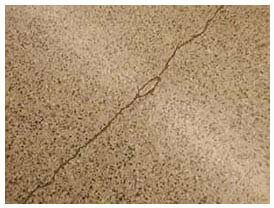 By being proactive and stopping the very causes of cracks, you can minimize foundation repair expenses. Fees for fixing broken foundations can vary greatly. Costs in the Dallas, Fort Worth and Arlington area are impacted by a whole lot of things. Charges for foundation repairs due to having a cracked slab could be less than $2,500 or more than $10,000. A lot depends on how splintered your foundation is and the number of foundation piers required. Large amounts of damage can increase the size of gaps and make your slab foundation extremely unlevel. 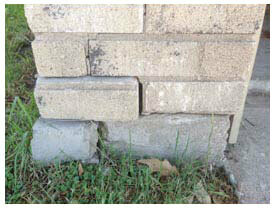 If your Arlington, Fort Worth or Dallas house needs repair due to foundation cracks, call us. It’s always wise have your foundation damage evaluated. To preserve your commercial property, apartment or residential structure, ask us to check out your house in Arlington, Fort Worth or Dallas. Cracked foundation repair estimates can be scheduled free online. Or, just phone HD Foundations. We service the entire DFW metroplex, including Irving, Plano, Grand Prairie, Euless, Carrollton, Garland and Richardson.